Maxwell's equations are four of the most influential equations in science: Gauss's law for electric fields, Gauss's law for magnetic fields, Faraday's Law and the Ampere Maxwell Law, all of which we have seen in simpler forms in earlier modules w/ the exception of a correction to Ampere's Law discovered by Maxwell. If you need testament of Maxwell's equations, look around you - radio, television, smart phones, radar, computers, wireless internet access, and bluetooth technology are a few examples of contemporary technology rooted in electromagnetic field theory. Little wonder that the readers of Physics World selected Maxwell's equations as "the most important equations of all time". And for our purpose these 4 equations along with the Lorenz force law contain all the physics needed to understand PEMF devices. ​In the early nineteenth century, when electric and magnetic forces were thought to be two different forces, the physical quantity charge was organized into two different units in electrostatic phenomena and in magnetic phenomenon resulting in two different physical dimensions. To their surprise, physicists noticed that the ratio of these two different units had the unit of velocity and it was precisely the speed of light! At the time no one could explain this. James Clerk Maxwell put all this together when in 1865 he showed that an EM disturbance (wave) would propagate in space at the speed of light, and hence LIGHT was a wave (classically) and was electromagnetic in nature. Maxwell realized the basic principles of electromagnetism can be expressed in terms of four equations which display the mutual interaction between electric and magnetic fields. When James Maxwell created his dream team of electromagnetic equations, he started with the ideas - and the mathematics - that other physicists has already established. Physicists such as Ampere, Coulomb, Gauss, and Faraday, and added his own insights to develop the overarching theory of electromagnetism. Maxwell's 4 equations elegantly and eloquently embody ALL of classical electromagnetism (along w/ the Lorenz Force Law). Classical Electromagnetism is the unified FIELD framework to understand electricity, magnetism and the relationship between them. Classical Electromagnetism deals with electric charges and currents and their interactions via FIELDS as if all the quantities involved can be measured with unlimited precision. Here classical means simply "non-quantum". The quantum law w/ it's uncertainty and constant "h" is ignored. Of course the theory was early on (and still is) solidly based on experiment and engineering and taught with much excitement at Harvard and Community colleges alike. You only have to look around you at the myriad electronic equipment to see proof. Experiments early on showed validity in the mid 1800's when Maxwell first wrote these equations down with coils, capacitors, oscillating currents. Towards the end of the 19th century; generators and electric power proved validation as did radio waves and light waves. But great success does not guarantee validity in the quantum domain, the level of atoms and molecules. Interestingly Maxwell's equations survived both the revolution of quantum physics and the development of Relativity of the early 20th century; neither of which has dimmed the luster of the electromagnetic field equations Maxwell wrote down 150 years ago. Why? Well firstly, Maxwell's equations were ALREADY compatible with Relativity and needed no revision (unlike Newton's Law which faced major revisions). In fact Special relativity GREW out of Maxwell's equations, and Einstein himself was the first to admit it. Secondly, quantum modifications of the electromagnetic forces have turned out to be unimportant down to distances LESS THEN a picometer (10^-12 meters), which is 100 times smaller than an atom! That is, we can describe the repulsion and attraction of particles in the atom using the SAME LAWS that apply to electricity and magnets you are familiar with. Maxwell's equations govern them ALL!! However we DO need quantum mechanics to predict how these microscopic particles with BEHAVE under those forces. For distances smaller than 10^-12 we need QED (quantum electrodynamics), but it is really amazing to me HOW FAR REACHING Maxwell's equations are and how PRACTICAL they are!! REVIEW & PREVIEW- Believe it or not, in Modules 2,4,5 & 6 we've already seen Maxwell's 4 equation, so this module we be a REVIEW but a review with A Beautiful Unification Of Every electrical, magnetic AND as we'll see electromagnetic. But it will also be NEW in the sense of a New Mathematical Formalism to the same principles we have explored plus TWO big new insights. One being Maxwell's Correction to Ampere's Law WHICH leads to electromagnetic waves. In fact Maxwell's correction WAS A REQUIREMENT for electromagnetic waves to exist, so it was a HUGE discovery. To recap Classical Electromagnetism and what we have learned so far. 1) Coulomb/Gauss - First recall that a electric charge creates an electric field which exerts an electric force. In MODULE 2 we did actually show Gauss's Law briefly. 2) Gauss's Law for Magnetism - No Magnetic Monopoles. In module 4 (and module 5) we stated this fact but never wrote it down mathematically. Gauss's law for magnetism does just that. 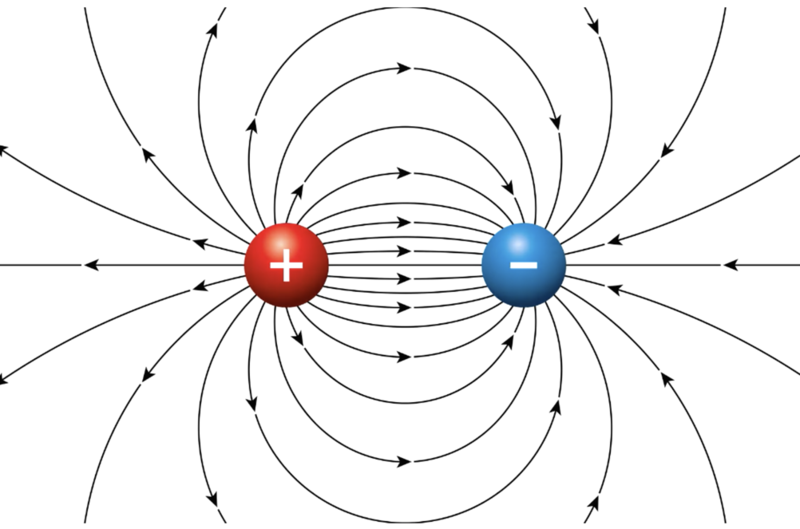 3) Ampere's Law - Simply states that charges when moving creates a magnetic field which exerts a magnetic force. We did briefly show Ampere's law (w/o Maxwell correction though) in Module 5. Maxwell's correction to Ampere's law states that electric field varying with time generate a changing magnetic field. More on this later. 4) Faraday's Law - Faraday's law states that a magnetic field varying with time generates an electric field (induced currents in inductors and transformers). When electric and magnetic FIELDS do not vary with time we can analyze them independent of one another. However when Electric and Magnetic FIELDS DO vary with time, they are interrelated by Maxwell's Equation and can give rise to electromagnetic waves (which include light). But ultimately ALL FIELDS come from charges and currents (moving charges) or that is Charges. And the FIELDS are the intermediary of forces on electrons, protons, atoms, molecules, etc. Maxwell's equations really show how ALL charged particles in the Universe (stationary or moving) produce FIELDS (waves)!! The Lorenz Force Law reciprocally tells you how FIELDS (waves) affect charges (particles)! Together w/the Lorenz force law, All the principles of electromagnetism can be boiled down into four equations called Maxwells equations which we will explore in this video. Gauss's Electrical law defines the relation between charge ("Positive" & "Negative") and electric field which we looked at in Module #2. "Electric Charge Produces an Electric Field, and the flux of that field passing through any closed surface is proportional to the total charge contained with that surface. A "closed surface" in this case is just a surface of any shape that completely encloses a charge, like a sphere for example. And electric flux is a measure of the electric field that passes through a given area. Mathematically, this equation says that the electric flux is the integral of the electric field over the area of the surface, which is equal to the enclosed charge, divided by the permittivity of free space. ​Remember the permittivity of free space is a constant of proportionality that we have used before, that relates electric charge to the physical effects of electric fields. If the electric field is constant over the surface, the the left side of the equation becomes E times A. From Maxwell’s first equation we obtain a special form of Coulomb’s law known as Gauss’s law for electricity. If the math is too hard, that is ok, remember that the electric field VISUALLY is proportional to the density of electric field lines. 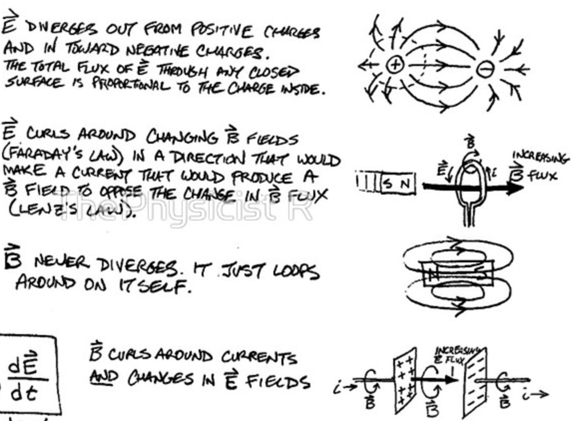 To understand Electric Field Flux (which we are going to talk about next), try to see this field lines as a FLOW of the electric field out from a positive charge (like a faucet flowing water out), and a Flow of electric field INTO a negative charge, like a drain. Fluid flow and flux is mathematically isomorphic (same form) to electric field flow/flux. Remember the visuals from module #2. There is no magnetic charge; magnetic field lines don't begin or end. Maxwell's second equation is also a form of Gauss's law, only with the magnetic flux instead of the electric flux. The total magnetic flux passing through any closed surface equals zero. Remember from Module #4 &#5 we talked about Magnetic sources are always dipoles (they always come in pairs), with a North and South Pole, and the magnetic field lines that leave from the North Pole and return to the South. ​There are no magnetic monopoles like there are with positive and negative charge. That is, an isolated North or South monopoles has never been found to this day. You cut a magnet in half and you have two more magnets. When you're looking at how a magnetic field interacts with a surrounding surface, you see that the field lines leave the surface out of the North Pole and must enter back through the surface to reach the South Pole. This results in the overall magnetic flux being zero. If you compare this with Maxwell's first equation, you can tell that the format - with the integral of the magnetic field over the surface area - is the same. But here the integral will always equal zero for a closed surface. The Second one tells you that if you integrate B over any surface, that is you count the net number of field lines coming out, you're going to get zero. That is true because field lines begin and end with charge and there are no magnetic charges or Monopoles. Magnetic Field Lines have neither a beginning nor an end. They close in on themselves. ​The strength of the magnetic force is related to the magnetic constant μ0, also known as the permeability of free space. This second of Maxwell’s equations is known as Gauss’s law for magnetism. It was Michael Faraday, who in 1831 demonstrated through a series of experiments that a conductor enclosing a varying magnetic field will have a current induced. This in turn, will create an electric field. All PEMF devices operate and affect the cells on the basis of Faraday's Law. 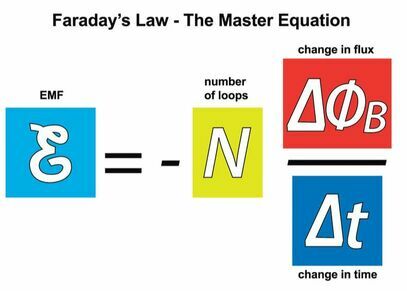 Maxwell's third equation is Faraday's law but slightly different than how we saw it before. ​If you remember, Faraday's Law of Induction says that a changing magnetic field will induce an electromotive force or EMF in a loop of wire. The "N" in the equation is the number of turns in the loop of wire that we used before can be easily incorporated into the total change of flux. Also let's review the importance of Faraday's Law in PEMF devices from Module #6. Maxwell's version is more general, simplifying Faraday's Law to show the value of that induced EMF. It says that the EMF is equal to the line integral of the electric field over ANY closed loop. That is, a changing magnetic field induces a CIRCULATING electric field. And this circulating electric field is the source of the EMF in any circuit. The direction of the EMF opposes the change. This third of Maxwell’s equations is Faraday’s law of induction, and includes Lenz’s law. Lenz's Law gives us the minus sign: Currents induced by changing magnetic flux always flow in the direction so as to oppose the change in flux. There does not need to be wire or anything as it shows a circulating and non conservation Electric field that comes from a changing magnetic field. Usually this circulating electric field is used to drive current in a wire, but that is a specific application, not a general rule. Electric fields induced by changing magnetic fields are very different than charge based electric fields. Unlike charge based electric fields, induced Electric fields have no origination or termination points - they are continuous and circulate back on themselves, JUST LIKE MAGNETIC FIELDS around steady currents!! The faster B changes (which means a Greater dB/dt), the larger the magnitude of the circulation of the induced Electric Field in your tissues for maximal Ion transport, charge separation and energy production. This is what we said before, but now we can add the geometry of circulation to the discussion because the induced electric fields in tissues will be circulating, curling and twirling eddy currents that form closed loops. The definition of the word Eddy means a circular movement of water, fluid, airflow or fields counter to a main current or flow, causing a small whirlpool-like, swirling and vortexing motion. ​Eddy Currents is an appropriate word because they are produced from the swirling electric fields created by changing Magnetic Fields. NOTE: Induced Electric Fields are very weak compared to electric fields directly from charges. Because of this, in PEMF devices that DO use electrically neutral, current carrying wires (most do), the changing MAGNETIC field AND it's corresponding induced Eddy currents (EMF) dominates the PEMF therapy (which is what we want for optimal penetration and healing). But if the changing Magnetic field is TOO Strong it CAN produce Eddy Currents that are damaging to the body. And it is for this reason why I tell people that it is not ideal to wear a lot of metal OR lay your pemf mat on a metal table OR sit in a metal chair while using a pemf device. It is because induced currents develop in the metal objects (due to free electrons) which in turn generate a B-field that will slightly interfere with PEMF field. Having said that a small amount of metal (wedding band, zipper, button, earring, etc.) is not a big deal as it produces negligible eddy currents. Induced Circulating Electric fields From PEMF Devices assists in Moving positive and negative ions around cells. Tissues respond to exercise or mechanical load. This moves the fluid around the tissue past the cells, and when that fluid moves it causes what are called streaming currents which are nothing more than positive and negative ions flowing past the membranes of cells. Nerve and Muscle Cells are especially electric in nature. 2) Induced Eddy currents form in the thin membranous fluid spaces, causing net ion flux along membranes. High Intensity PEMF with 1-3 Tesla intensities creates Eddy Currents in your body that are WAY TOO Strong and Can Damage the Cells, Tissues and Organs with prolonged and regular use. 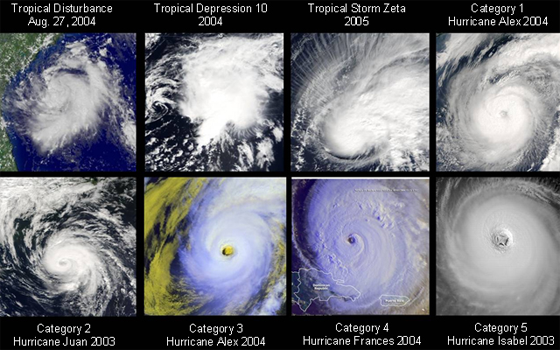 High intensity is like a stage 1-5 hurricane depending on the frequency and intensities (both higher frequency AND higher intensity INCREASE the Eddy Current's Intensity just as Air/Land/Sea Temperature and Atmospheric Pressure influence a Hurricane. High Intensity PEMF Creates Eddy Currents that are WAY TOO Strong and Can Damage the Cells, Tissues and Organs with prolonged and regular use. Also important for PEMF devices, this law contains the Biot Savart Law, Ampere's Law and Maxwell's Correction. PEMF - Describes the Magnetic Field and Magnetic Flux around a current carrying wire. Explains how PEMF devices Generate Changing Magnetic Fields. 4) The Fourth Equation says that an electric current (like in a wire) produces a magnetic field as per Ampere's Law. In addition, changing electric field can produce a magnetic field (Maxwell's Displacement Current). Displacement current. Maxwell realized that Ampere's law is not valid when the current is discontinuous as is true of the current through a parallel plate capacitor. He concluded that when the charge within an enclosed surface is changing it is necessary to add to Ampere's law another current called the displacement current. Magnetic fields are generated by moving charges or by changing electric fields. This fourth of Maxwell’s equations encompasses Ampere’s law and adds another source of magnetism—changing electric fields. The electric current or changing electric flux through a surface produces a circulating magnetic field around any path that bounds that surface. The Fourth and Final equation is one Maxwell made the most tweaks to, in order to make it applicable to all electromagnetic phenomena. Maxwell's first and second equations were so similar - one for electric fields and one for magnetic fields - that he knew there must be an equation that complemented Faraday's Law as Well. After all, if a changing magnetic flux produces an electric field, why is there not a complementary law saying the reverse? Why couldn't a changing electric flux result in an induced magnetic field? Here Maxwell started with Ampere's Law, which states that a current through a wire induces a magnetic field around a path surrounding the wire. In order to make this equation work for all possible electromagnetic scenarios, Maxwell needed to consider a situation where a magnetic field is induced, but not from the flow of current. For example, picture a charged capacitor that's connected to wires on both sides. As the capacitor discharges, current runs through both wires, generating a changing magnetic flux, just like Ampere's Law says. But a changing magnetic flux is also induced between the two plates when there's no wire connecting the plates. ​However there is a changing electric field, and it acts like a wireless current. In order to account for the magnetic flux generated by this "wireless current", Maxwell added what is known as the displacement current into Ampere's Law, to Complete the equation. Despite being called the displacement current, it isn't really an electric current. It is only called that because it fits into the equation, just like an actual current does. Mathematically the displacement current is equal to the change in the capacitor's charge over time. And that is equal to the change in electric flux over time, multiplied by the permittivity of free space constant. 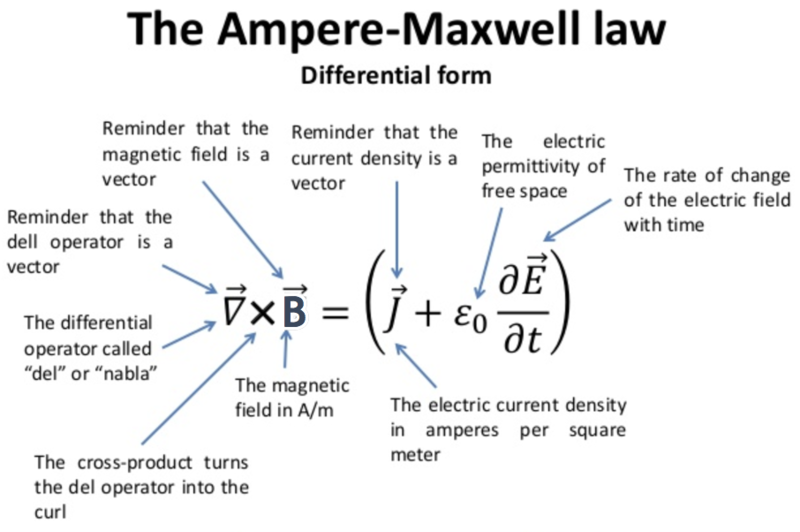 With the addition he made to Ampere's law, Maxwell's equations were complete... And from them we can see a pattern in the production of both electric and magnetic fields and how the two are connected. These oscillations are electromagnetic waves, and they're made up of changing electric and magnetic fields that travel through space. Maxwell believed that we could reproduce electromagnetic waves in the laboratory and he was right! Summarize the ENTIRETY of Classical Electrodynamics! AND magnetic fields can be produced either by currents/moving charges (particles) OR changing electric fields (waves). But ultimately ALL fields come from charges and currents (moving charges) or that is Charges. Maxwell's equations really show how charges (stationary or moving)/particles produce FIELDS (waves)!! The Force Law reciprocally tells you how FIELDS (waves) affect charges (particles)! So you see Electricity and Magnetism are related to each other and can be looked upon as two facets of what is called electromagnetism which includes as we'll see next, electromagnetic waves. Maxwell’s complete and symmetric theory showed that electric and magnetic forces are not separate, but different manifestations of the same thing—the electromagnetic force. 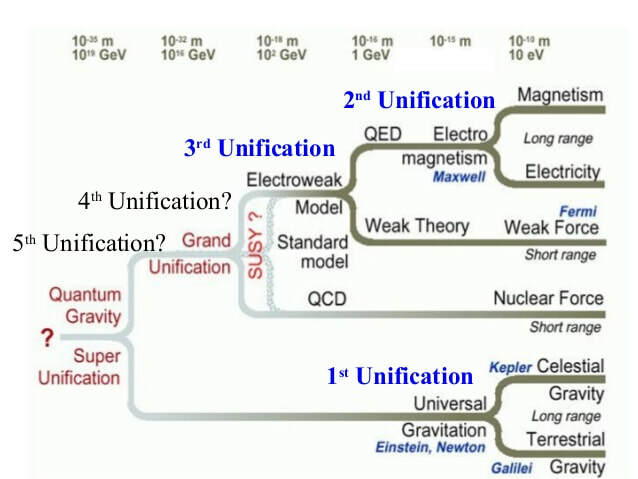 This classical unification of forces is one motivation for current attempts to unify the four basic forces in nature—the gravitational, electrical, strong, and weak nuclear forces. Symmetry is apparent in nature in a wide range of situations. In contemporary research, symmetry plays a major part in the search for sub-atomic particles using massive multinational particle accelerators such as the new Large Hadron Collider at CERN. ​Due to this intimacy the two are considered two different manifestations of the same unified force called an Electromagnetic Force or EM force. The unified form of an electric and magnetic field is called an EM field, and the electric and magnetic field are considered its components. In other words, an EM force is exerted by an EM field. Where there is a force, there is energy. The energy corresponding to an EM force is called EM energy or radiation. This energy is transferred from one point in space to another through what are called EM waves. An electromagnetic wave carries energy and momentum. The average power per unit area is called the intensity of the wave. The momentum per unit time (that is, force) per unit area is called the radiation pressure. But before we look at the EM Waves lets start with the famous equations which are source of them. Lets Take a stab at understanding the geometric principles of the differential form of Maxwell's Equations which are the most powerful expression, though both in theory can give the same results. It is ok if you cannot follow all the math, just try to get a basic grasp of the concepts. The main 3 concepts we need to introduce are the Nabla Operator, Divergence and Curl. The inverted uppercase delta appears in the differential form of all four of Maxwell's equations. This symbol represents a vector differential operator called Nabla or Del, and it's presence instructs you to take derivatives of the quantity on which the operator is acting. Derivatives in general tell you the rate of change of something. The exact form of these derivatives depends on the symbol following the del operator with del "dot" representing divergence (first two Maxwell equations), and del "cross" representing curl (second two equations). Don't worry if you have not had calculus, I will try to give visual explanations of how these operators work. The First 2 Maxwell equations how radiating electric fields and magnetic fields created. Divergence is well chosen for it is a measure of how much the field spreads out from a point in question. Positive divergence flows OUT like a faucet/source, while negative divergence flows IN like a drain/sink. The divergence at any point is a measure of the tendency of the flow vectors to diverge from that point (that is, to carry more material away from it than is brought in). Both Flux and Divergence deal with the "flow" of a vector field, but with an important difference. Flux is defined over an area, while divergence applies to individual points. Points of positive divergence are sources (like faucets in fluid analogy, and positive charges in electrostatics). Points of negative divergence are sinks (drains in fluid flow, and negative charges in electrostatics). Note: there are NO magnetic monopoles or SOURCE charges for the magnetic field which is why the second equation is = 0. Divergence is a vector operator that produces a scalar field, giving the quantity of a vector field's source at each point. More technically, the divergence represents the volume density of the outward flux of a vector field from an infinitesimal volume around a given point. The electric field produced by electric charge diverges from positive charges and converges from negative charges. The First Equation is Again Gauss's Law for Electric Charge but in differential form it represents the divergence of the electric field at each point in space. In a nutshell, The First Equation is Gauss's Law which tells you charges emit or absorb electric field lines or flux depending on their magnitude and sign. That is, Electric field lines originate or flow out of positive charges and terminate or flow into negative charges. The electric field is defined as the force per unit charge on a test charge, and the strength of the force is related to the electric constant ε0, also known as the permittivity of free space. ​Points of positive divergence are sources (like faucets in fluid analogy, and positive charges in electrostatics). The divergence of the magnetic field at any point is zero. Maxwell's Second differential equation is straightforward because there ARE no magnetic monopoles, that is there are no point sources for the magnetic field. Magnetic field North and South poles always come together to form a closed loop. There is no such thing as an isolated North or South pole like there is a positive and negative charge. This is one of the main reasons, as we mentioned that magnetic fields penetrate more deeply than light, electric currents and electric fields, because the North-South pole magnetic fields formed closed loops and they most close back on themselves, even if there is Lead in the way. Another way of say this is the total magnetic flux through any closed surface is zero. That is (again) because there are no source "faucets" for the magnetic field (or "sinks") using the fluid flow analogy. Last Two equations how circulating electric and magnetic fields are created. The name curl is ALSO well chosen, for it is a measure of how much a field curls, swirls, rotates or twists around the point in question - much like divergence is a measure of the tendency of the field to flow away from a point. Use the right hand rule for detecting POSITIVE curl (counterclockwise) and negative curl (counterclockwise). ​CURL IS WAVELIKE, No beginning and no end, tendency of fields to loop back on themselves in complete circles. In vector calculus, the curl is a vector operator that describes the infinitesimal rotation of a vector field in three-dimensional Euclidean space. At every point in the field, the curl of that point is represented by a vector. The attributes of this vector (length and direction) characterize the rotation at that point. The direction of the curl is the axis of rotation, as determined by the right-hand rule, and the magnitude of the curl is the magnitude of rotation. If the vector field represents the flow velocity of a moving fluid, then the curl is the circulation density of the fluid. A vector field whose curl is zero is called irrotational. Note: vector field with zero divergence everywhere is called incompressible or solenoidal – in which case any closed surface has no net flow across it. A circulating Electric Field is produced by a magnetic induction that changes with time. Lenz's Law: Currents induced by changing magnetic flux always flow in the direction so as to oppose the change in flux. The third equation is Faradays law of of EM induction which shows how a magnetic field that changes with time (time varying) produces or generates a CIRCULATING electric field. The left side of the equation is a mathematical description of the curl of the electric field - the tendency of field lines to circulate around a point. The right side represents the rate of change of the magnetic field over time. 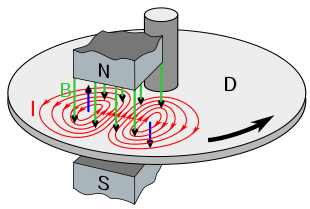 The Electric Field Curls around a Changing Magnetic Field in a direction that would make a current that would produce a Magnetic Field to Oppose the change in Magnetic Flux (Lenz's Law). Circulation: Integrate the magnetic or electric field around a closed loop. This is the summed total of each little magnetic or electric field point around a loop that is circulating. DS. So the electric field does not radiate outward in straight lines with a 1/r^2 dropoff, rather, it curls, swirls, rotates or twists around the point in question. Now lets look at the Geometry of the Induced Electric Fields Produced by Changing Magnetic Fields as it is different than static charges. In a nutshell electric charges create radiating electric fields where the electric fields radiates out from positive charges (source/faucet) and into negative charges (sink/drain). By contrast changing magnetic fields create Circulating Electric Fields which form closed loops with no source charges and no beginning or end. These circulating electric fields are the force that drives Eddy currents as we showed earlier. ​​The Circulating Magnetic Field is produced by any electric current and by an electric field that changes with time. Displacement current is Electric Induction symmetric mathematically in its effects to magnetic induction. The reason many decades went by before Maxwell figured it out, is that the magnetic fields induced by the changing electric flux are extremely weak and therefore difficult to measure. The key concept here is that a changing electric field produces a changing magnetic field even though no charges are present and no physicals currents flow. Through this mechanism, electromagnetic waves (as we'll see) may propagate through even a perfect vacuum, as a changing magnetic fields induce electric fields and changing electric fields induce magnetic fields. Maxwell's displacement current or electric induction is what makes light possible!!! SUMMARY : An electric charge produces an electric field flux or flow that radiates away from a positive charge (like image here) or towards a negative charge. Like a source/faucet or sink/drain. Magnetic fields by contrast curl and swirl or circulate around moving charges like steady currents. See image here. The direction of the circulation is governed by the right hand rule. Electric fields radiate away or towards charges while magnetic fields swirl or circulate around currents. These equations define the Electric or Magnetic field at each point in space around a source charge or current. And remember these are vector fields such that the electric and magnetic fields are vectors at each point. Kinda like wind velocity or water flow... Again use the water flow analogy to help see this. Braking using eddy currents is safer because factors such as rain do not affect the braking and the braking is smoother. However, eddy currents cannot bring the motion to a complete stop, since the force produced decreases with speed. Thus, speed can be reduced from say 20 m/s to 5 m/s, but another form of braking is needed to completely stop the vehicle. Since eddy currents and magnetic damping occur only in conductors, recycling centers can use magnets to separate metals from other materials. Trash is dumped in batches down a ramp, beneath which lies a powerful magnet. Conductors in the trash are slowed by magnetic damping while nonmetals in the trash move on, separating from the metals. This works for all metals, not just ferromagnetic ones. A magnet can separate out the ferromagnetic materials alone by acting on stationary trash. Other major applications of eddy currents are in metal detectors and braking systems in trains and roller coasters. Portable metal detectors consist of a primary coil carrying an alternating current and a secondary coil in which a current is induced. An eddy current will be induced in a piece of metal close to the detector which will cause a change in the induced current within the secondary coil, leading to some sort of signal like a shrill noise. Eddy currents can produce significant drag, called magnetic damping, on the motion involved. Consider the apparatus shown in This Figure, which swings a pendulum bob between the poles of a strong magnet. (This is another favorite physics lab activity.) If the bob is metal, there is significant drag on the bob as it enters and leaves the field, quickly damping the motion. If, however, the bob is a slotted metal plate, as shown in (b) there is a much smaller effect due to the magnet. The classical model of electricity and magnetism makes use of the ideas of electric and magnetic fields. Maxwell’s equations describe how these fields behave, and the Lorentz force equation, which describes how the fields push and pull charged particles and magnets. A prediction of Maxwell’s equations is that there are waves in the electromagnetic field which travel at the speed of light. These waves were identified with light by the experiments of Hertz and others.